Lynley has been working as the Administration and Promotions Assistant since March 2018. She also works for one of Collective Purpose’s partner organisations, WayAhead – Mental Health Association NSW, as the Workplaces Program Assistant. Lynley recently graduated from Macquarie University with a Bachelor of Human Sciences with majors in Marketing and Public Health: Policy and Promotion. A Guinness World Record holder, she loves all things sport and travel. 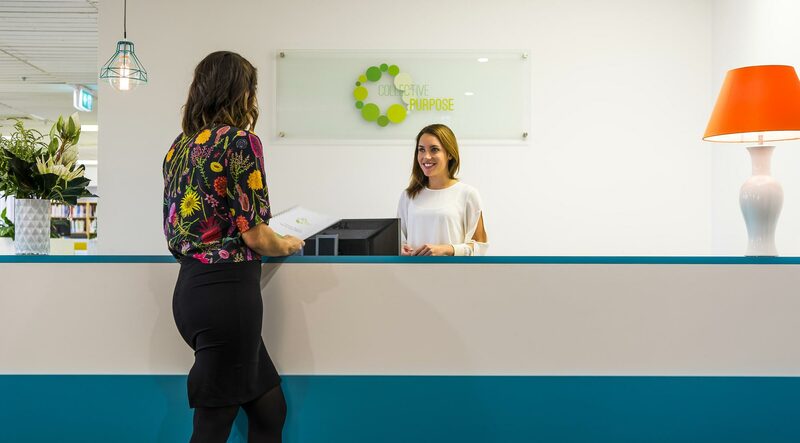 Ashleigh started with Collective Purpose in July 2018. She has a long history of working with not-for-profits, having worked on large projects for Sydney Writers’ Festival, Brisbane Festival, the Australian Production Design Guild and Digital Art Directory. Ashleigh graduated with a Masters of Publishing from the University of Sydney in 2016 and has a passion for systems, data, and all things workflow. Ashleigh is proud to work for Collective Purpose because she believes in the mission: helping the wider sector. Supun has been with Collective Purpose since June 2018. He is a qualified accountant with more than a decade of senior level experience in the accounting sector with wide ranging industry exposure. Skilled in numbers, Supun also has a passion for improving financial controls, compliance, processes and system functionality. He enjoys working in non-profit shared services as assisting organisations that better help the community motivates him. Matt has been working with Collective Purpose since 2018 and has found his work building a socially sustainable value model for the not-for-profit sector to be both challenging and rewarding. For Matt, the focus on workplace wellbeing is one of the best things about working at Collective Purpose and he has found the community to be caring and inclusive. He is passionate about social impact and achieving sustainability through collaboration and innovation, as well as finding new partners to achieve that.